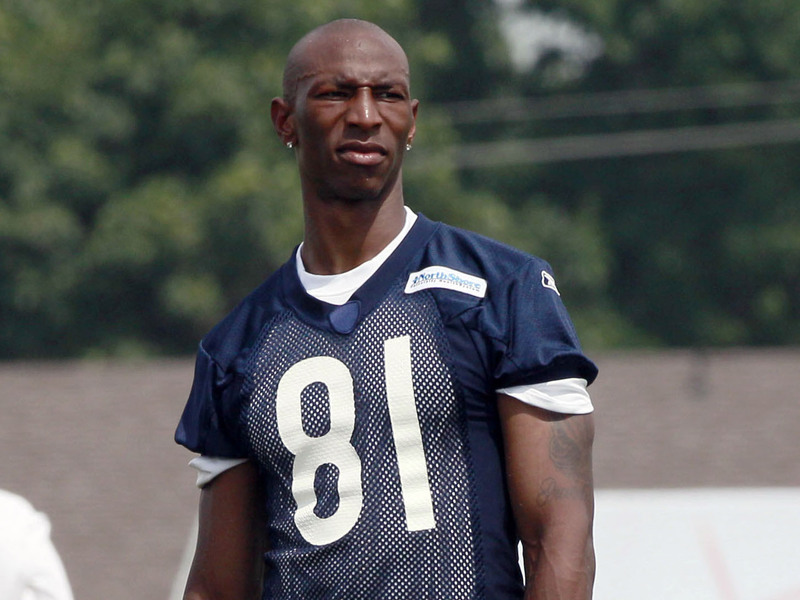 CHICAGO -- The attorney for Sam Hurd says his client had never sold drugs to other NFL players, hoping to put any rumors to rest as the wide receiver without a team prepares to fight federal drug charges that could put him in jail for 40 years. Less than an hour after Hurd was cut Friday by the Chicago Bears, defense attorney Brett Greenfield told reporters his client planned to fight the charges and wanted one thing made clear. "Sam has asked me to address one point, with respect to the rumors that Sam has been supplying drugs to other members of the NFL -- out of respect to the NFL, out of respect to teammates and out of respect to other players, he 100 percent denies that allegation," Greenfield said. "It is patently and totally false. It just didn't happen." But on "The Early Show on Saturday Morning," Sports Illustrated legal analyst Michael McCann said the league is "conducting its own investigation. And the league is certainly troubled by the fact that it didn't know about this. If, in fact, it's true that a number of NFL players are part of a drug network, it would suggest that teams in the league aren't doing enough to figure out what's going on with players." McCann added, "It's very concerning for the NFL. This is a league that, until recent years, had a real problem with cocaine and players. Back in the '80s, it was reported that perhaps as many as half of NFL players had tried cocaine. The league doesn't want to go back to an era where players were associated with this very dangerous drug. Under Commissioner Roger Goodell's leadship, the image of players has improved. So, for the league, they may have to take steps to change the way players are tested for drugs and also change the way players are investigated in their personal lives." He says he's "sure the NFL is embarrassed. ... They're trying to figure out, how could this happen? How could no one have seen, if in fact it's true, that not only one player, but perhaps dozens of players were involved in this -- how could this all go under the radar? "I think it's a soul-searching moment for the league, a league that has focused on a rigorous personal conduct policy, a league that has focused on improving the marketability of players so that fans like them, a league that's coming off a very contentious lockout over the summer. This is not a good time for the league to (encounter) this problem." U.S. Magistrate Young Kim ordered Hurd to surrender his passport and any firearms. Hurd is expected to be tried in Texas, where the criminal complaint was filed this week by the U.S. attorney. Hurd, who appeared in court in an orange jumpsuit with his feet shackled, waived his right to a preliminary hearing, meaning the next step is for prosecutors to take their case before a grand jury. Several members of Hurd's family, including his wife, mother and brother, attended the hearing, but he didn't appear to look at them, even as he was led out of the room. He was later released, after posting $100,000 bond. Hurd told the agent a "co-conspirator is in charge of doing the majority of the deals" while he focused on "higher-end deals," the complaint said. He agreed to pay $25,000 for each kilogram of cocaine and $450 a pound for the marijuana, according to the charges, and then said he could pay for a kilo of cocaine -- about 2.2 pounds -- after "he gets out of practice." He walked out of the restaurant with the package and was arrested. Teammates said they were stunned by the allegations and General Manager Jerry Angelo said he was, too, as he announced the team was cutting Hurd. "There were no facts, there were no flags, that anybody could present tangibly to say we should have known otherwise, and I want to make that perfectly clear to the public, to our fans," Angelo said Friday. "We do our homework. We do our due diligence. We did everything you could possibly do given the information that we can allocate." The 26-year-old Hurd was in his first year with the Bears and sixth year overall in the NFL after five years with the Cowboys. Angelo said the Bears performed an extensive background check on Hurd, a San Antonio native who played at Northern Illinois, before signing him in July to a three-year deal reportedly worth up to $5.15 million, including a $1.35 million signing bonus and base pay this season of $685,000. "We go back, we ask questions," Angelo said. "Is there something we could have done, something we should have done, in the process? Sometimes, there are glitches, but in this case, there are none. I could sit here and tell you with total transparency that we did everything we know to do in terms of our research, and there was nothing that we found that would create a flag or an alert or a real concern in Sam Hurd's case." Asked how certain he was that other players on the Bears or around the league were not involved, Angelo said, "I can't talk about that." "I'm certainly not going on any witch hunts about players," he added. "The one thing that we've done when there's been a wrong, we've acted. We don't justify wrongs. We've acted. We have a track record of doing that. Unfortunately, a situation arose that caught us off guard, but not to the point where we aren't going to do the right thing." The Bears announced their contract agreement with Hurd on July 29, one day after federal authorities say he had agreed to a "consensual interview" with Homeland Security investigators over $88,000 in cash that had been seized in a car he owned in the Dallas area. The money was inside a canvas bag that authorities said was covered in a plant-like material that tested positive for "properties of marijuana." Hurd said the money was his and that he had given the car to his acquaintance, a car shop employee, for maintenance and detail work, the complaint said. "From my understanding, he wasn't the one that was pulled over," Angelo said. "His vehicle was pulled over. He was not the driver. That was never made public. So he was never charged with anything. There was never any record to our knowledge. And it was, from my understanding, a citation, but other than that, there was no other information that was presented to us." Angelo would not say if the Bears would try to recoup some of the signing bonus. He also gave a terse answer when asked whether the case might affect his own future with the Bears, telling a reporter to "whistle Dixie." Angelo is under contract through 2013. As for Hurd, receiver Earl Bennett described him as a "guy with high character who just loves to play the game of football, loves to have fun." Bennett also said he doesn't think other players are involved. "I wouldn't think so," he said. "A lot of guys in this locker room are very high-character guys." Coach Lovie Smith echoed that sentiment. "We have a great group of guys," he said. "But sometimes when you're dealing with this many, it's hard to have all the players be a certain way. But you can't let that scar what else we're getting done here. It's always about the team. Every once in a while a guy will go outside what's best for the football team and there are consequences that you deal with. That's how life goes. There are life lessons that are being learned here by our football team." Greenfield said he wasn't sure whether Hurd would try to get picked up by another team as he fights the drug case. "Sam's a football player and he wants to play," he said. "Hopefully he'll be playing in the near future with another team." If not, the attorney said, there are other options. "Sam's a college grad, Sam's a scholar, Sam's a very, very smart individual," Greenfield said.